While giving your house an overall makeover is no easy feat, remodeling your kitchen is probably the heaviest boulder to push while getting logistical work out of the way. As we discard old calendars and unfold new ones this New Year’s, there are a lot more resolutions that go unsaid. Even though no one really writes it down in black and white on their “My New Year Resolutions” card, homemakers do make a mental note of revamping their kitchens to match the changing trends. Apart from homemakers, chefs who love to look and spend long hours every day in the kitchen need the place to set the mood right for cooking. Baking cakes, creating delicacies, and cooking scrumptious meals is no less than an art for which every artist needs their own studio where they can unleash their talents and create masterpieces. Before beginning this project it is important to clarify a few details. Theme and budget are probably the foundations of this assignment that get the ball rolling from day one of the New Year. Once the figures and lengthy calculations are out of the way, it is easier to dip your hands and get started! Here are a few ideas that will give your kitchen a look suited to 2019. Ever since its raging popularity in the late 90s and early 2000s, granite continues to maintain its fame even two decades later! The glossy smoothness and veined patterns of these grey marble slabs make it a material for kitchen counter tops which consumers demand to date. Even though white kitchens have preserved a dainty image of a space neatly set, undisturbed by loud colors, they have been wiped out of trends that evolve with the new year. 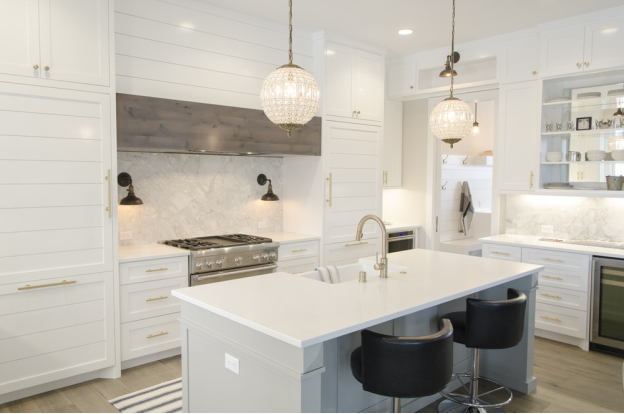 A white washed kitchen may seem classy and not to mention spotlessly clean, the irony is that it is actually a hassle to clean every stain and speck of dust from white counters and cabinets. While white is going to remain as a classic kitchen model, modern trendy kitchen interiors are going to be starkly different. 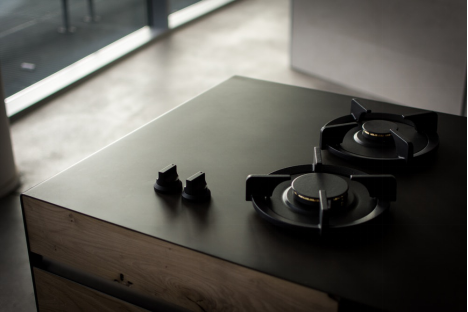 The New Year has revolutionized the way kitchens are now going to be. Replacing the white, deep, earthy colors like terracotta, grey, charcoal and green have seeped into the catalogue of modern kitchen models. Kitchens in 2019 will use dark counters with complementing terracotta or wooden cabinets and metallic gold or silver handles. This will not only give a refreshing new taste to the way kitchens are seen but also make it easier for cleaning! 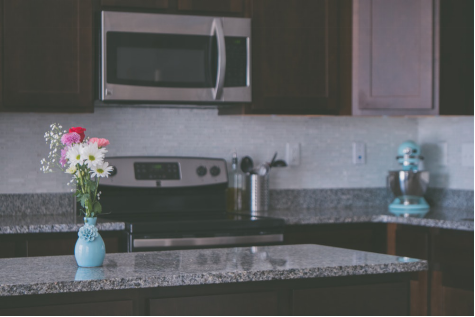 When it comes to picking out appliances for your kitchen, a lot of effort goes into matching the functionality you require from the specifications to the outlook you need to fit into your kitchen theme. With the coming year, it is expected to get done with shiny microwaves and ovens and choose a matte range of appliances that blend well with the interiors. For years beautiful china pieces, delicate gold-rimmed tea sets and vintage crockery have stayed locked up inside closed shelves and cabinets. This is the year to let them come out and shine bright. 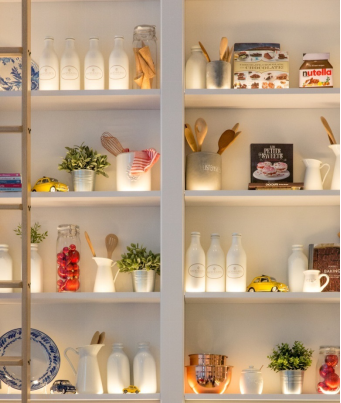 This is why the year 2019 is bringing with itself a trend of open shelving in kitchens to help flaunt the exquisite kitchenware and also prioritize ease of access. Even though some find it extremely hard to part with their age-old whitewashed kitchens and prefer going the old way, pops of bright color can be included to add a hint of modern to it. With kitchens being concealed in white from ceilings, through cabinets, and counters to walls, a bit of color here and there harms no one. Painting cabinet doors a bright blue, or decorating countertops with colored material can help give it just a tinge of trendy. Experts at NYLoft understand the high regard homemakers hold their kitchens in! 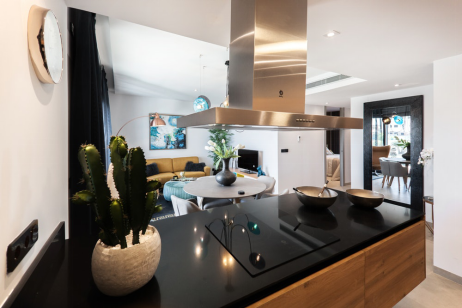 Having been in business for a considerable period in New York, they offer remodeling and interior planning services to make your kitchen transform into an urban, modern space aligned with the trends of 2019. Call them up at 212-206-7400 to revamp your kitchen the new way! Next PostNext 2018 Flooring Trends – What you Need To Know?